Upset stomach is one of the most common problems that all must have experienced many a times. This could be due to variety of reasons such as excessive eating and over consumption of alcohol, fatty food intake, eating late, bloating etc. It can cause a lot of discomfort and pain and also hinder your day to day activities. The intensity of stomach ache can range from a slight discomfort to cramps and at times can be much bothersome. 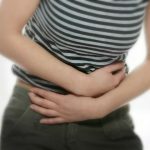 Ever tried apple cider vinegar for upset stomach remedy? Here are some best homemade remedies for upset stomach with apple cider vinegar. 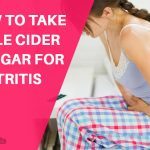 Is Apple Cider Vinegar Good for Upset Stomach? 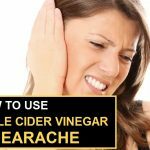 Apple cider vinegar is best known to cure the upset stomach and many other symptoms relating to it. As made from apple extracts, its rich in Pectin and minerals. Its antimicrobial and antibacterial properties works best to cure upset stomach/ stomach aches. ACV is a natural bacteria combatant to settle an upset stomach. Read on to find out the various ways of using ACV along with other natural ingredients. This mixture can be consumes prior to having your food. How it works: Apple cider vinegar is alkaline effect alleviates various the stomach pain and discomfort. Take apple cider vinegar and baking soda in above mentioned quantity. Benefit: Baking soda neutralize stomach acid, it helps proper digestion. Note: Baking soda along with apple cider vinegar causes a carbonation effect and thus promotes burping, to relieve excess gas. Make this concoction using a cup of water, and adding 1 table spoon each of ACV and honey. How it works: Honey and apple cider vinegar mix is very effective to soothe issues like stomach cramps, indigestion and heart burn. ACV being so versatile that it works very well with other natural ingredients. To help soothe the stomach cramps and pains associated with upset stomach, ACV can be mixed with any fruit juices. Hence prevent upset stomach by adding a teaspoon full of ACV to your favorite fruit juices and consume this before meals. For making this recipe, prepare your green tea as usual and dilute a teaspoon of ACV into it. Well known for its antioxidants and anti-inflammatory properties, green tea treats upset stomach and stomach aches. Combining this with apple cider vinegar helps not only to evade the discomfort caused by upset stomach, but also promotes healthy digestion. Apart from its healing properties, Apple Cider Vinegar is well known for its culinary usage. Incorporate ACV into your diet by using it as a salad dressing. Its sour taste adds tanginess and freshness to your salad. It is quite surprising and to hear about this key ingredient ACV and its benefits to heal many of health issues. Try these recipes to alleviate the discomfort and digestive upsets. Avoid eating heavy late night. Drink plenty of fluids and water for better digestion. ACV may not able to provide an instant relief in case of stomach pains caused by ulcers. Hence its suggested to visit a doctors in these kind of extreme cases. Avoid having hot spicy food. Also, chew your food properly to eliminate indigestion. Avoid eating out and maintain high standards of personal and food hygiene in terms of storing, handling or preparing food to avoid cases of food poisoning and upset stomach. Stomach upset can be a pain and be a major hindrance while doing daily chores. 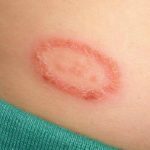 We suggest consuming ACV to prevent and as an at home cure for it, however if the problems persists it could be hinting an underlying condition. Hence it is suggested to visit the doctor for treatment.